These fresh-flavored kebabs are a great option for entertaining. Bright and colorful, they are perfect served over steamed brown rice. 2. Sprinkle shrimp evenly with salt and pepper. Thread shrimp, bell pepper, mango, and onion pieces alternately onto each of 8 (12-inch) skewers. 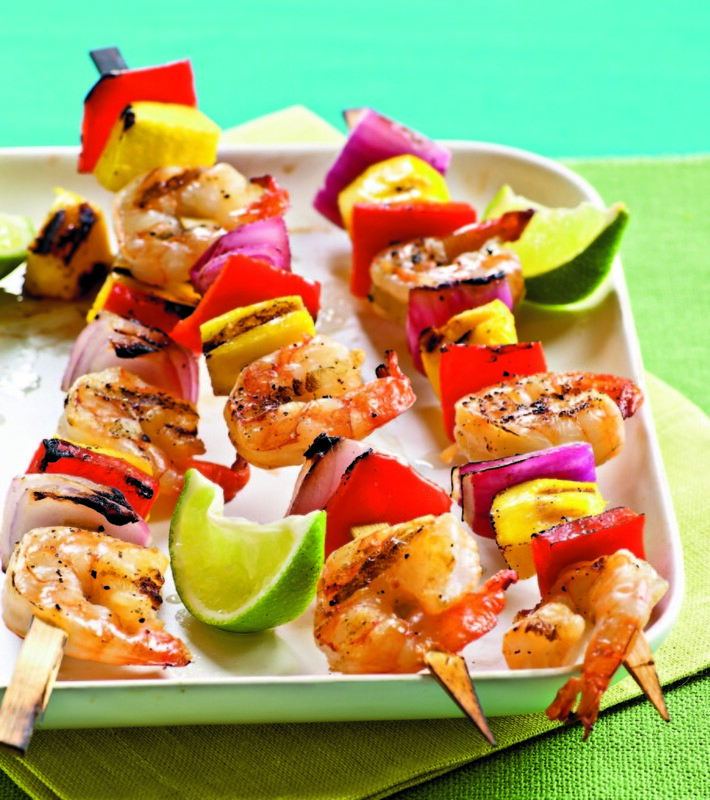 Place skewers on grill rack coated with cooking spray; grill 2 minutes on each side or until shrimp are done. Squeeze juice from lime wedges over kebabs. Yield: 4 servings (serving size: 2 skewers). Skewering small chunks of food on wooden sticks or thin metal rods is a grilling tradition. Soak wooden skewers in water for at least 30 minutes before using them on the grill or they’ll burn, and discard them after use. Metal skewers can be reused and require no soaking. Sounds good!!! Will try this at my next family get together.